Outgoing President Benigno Aquino III recently signed the Customs Modernization and Tariff Act (CMTA) into law as Republic Act (RA) 10863. The new law is lauded by business groups who have sought its passage to make import and export processing less of a hassle and more in line with international standards. Customs Commissioner Alberto D. Lina said, "Emphasizing the ease of trade through streamlined processes, the CMTA will establish the requisite foundation for a cashless, faceless and paperless environment in Customs, reducing corruption and technical smuggling that will result to enhanced revenues." But more than these reforms, the new measure will also benefit overseas Filipino workers (OFWs) since tax exemptions for balikbayan boxes was raised 15x from P10,000 to P150,000. OFWs can send up to three (3) balikbayan boxes with such exemptions in a year, as long as the goods are not in commercial quantities nor intended for sale or barter. How about those small items lacking importance or de minimis, which Filipinos usually bring home as "pasalubong"? Balikbayans would be delighted to know that the tax exemptions has also been raised from P10 to P10,000. These include items which have been ordered online, according to GMA News. Commissioner Lina said that the law is also a way to recognize the efforts and contribution of the OFWs to the country. 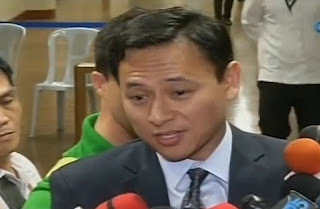 Kudos to the principal author of CMTA, Senator Juan Edgardo "Sonny" Angara for crafting a much-needed law that will not only help businessmen but will also make life a lot easier for millions of OFWs and balikbayans.